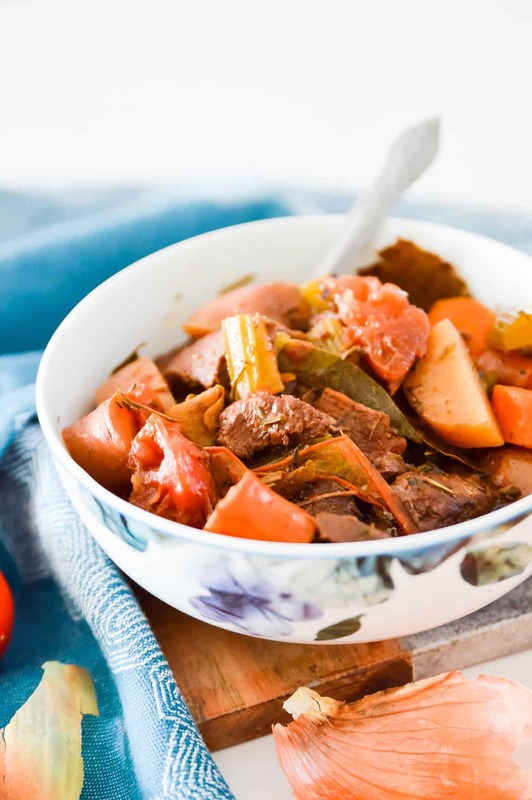 Paleo Slow Cooker Beef Stew is the ultimate comfort food. 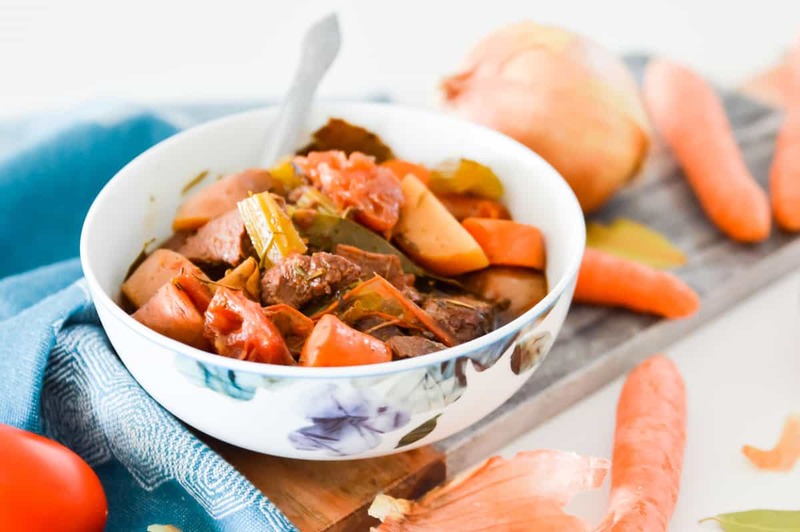 Perfect for cold winter weather, this beef stew is full of flavour and packed with healthy ingredients that your whole family will love. Make this beef stew in your crockpot for the perfect weeknight meal. Does cold, fall weather make you crave warm comfort food? Food like soups, stews, chilis, hot chocolate and warm tea? It definitely makes me crave comfort food. And when I think of comfort food there is almost nothing better than a giant bowl of beef stew. Growing up I always loved beef stew. I was one of those crazy kids who actually got excited when my parents said we were having stew for dinner. There is just something about the mix of vegetables and meat with that warm comforting broth that is just so, so good! I remember using a bun to get every last drop of stew out of my bowl as a child. I literally ate every single drop of it. And even now, my love for stew has never changed. Considering how often I make stew it’s a little ironic that I’ve never published a stew recipe on the blog before. The issue is that I never really measure the ingredients when I make stew. I have been making it for so long that I don’t even think about it anymore. 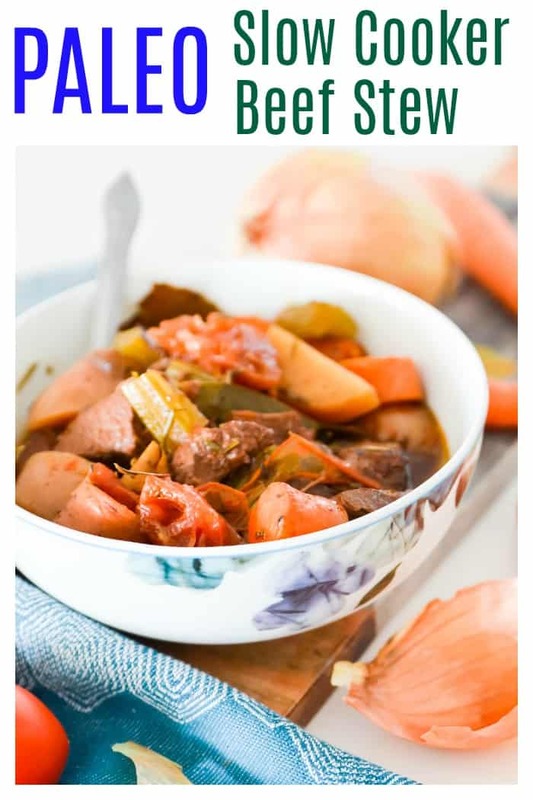 But I decided it was finally time to actually measure the ingredients I was using so I could let you in on my favourite Paleo Slow Cooker Beef Stew Recipe too. If you don’t make stew right it can be pretty boring. Or even worse, the meat can come out tough and tasteless. There is almost nothing worse than biting into a piece of tough, chewy, tasteless beef. Over the years I have learned a couple tricks to guarantee that your stew meat will come out tender and flavourful every single time. Want to know what they are? Add something to tenderize your meat while the stew is cooking. In this recipe I used red wine. And no, before you ask, the stew doesn’t actually taste like wine. The wine simply acts as a tenderizer for the meat. It also enhances the other favours of the stew. The meat is melt in your mouth tender and so, so flavourful! It makes great leftovers. Because if your house is anything like mine there is no time for cooking meals every night that’s for sure! In a medium pan, cook the meat in bacon fat (or your other fat of choice) until it’s brown on all sides. This will take about 10 minutes. Cooking the beef ahead of time will help it become even more tender. While the beef is cooking, add the chopped vegetables, liquids and spices to your slow cooker or crockpot and stir well to combine. Once the beef is done, simply transfer it and the fat it was cooked in into your slow cooker or crockpot. Again, stir the ingredients together to combine them. Then turn your slow cooker or crockpot onto low heat and cook the stew for 8 hours. If you can, stir the stew a few times while it is cooking. After 8 hours, turn the slow cooker or crockpot off and enjoy! Simple as that! 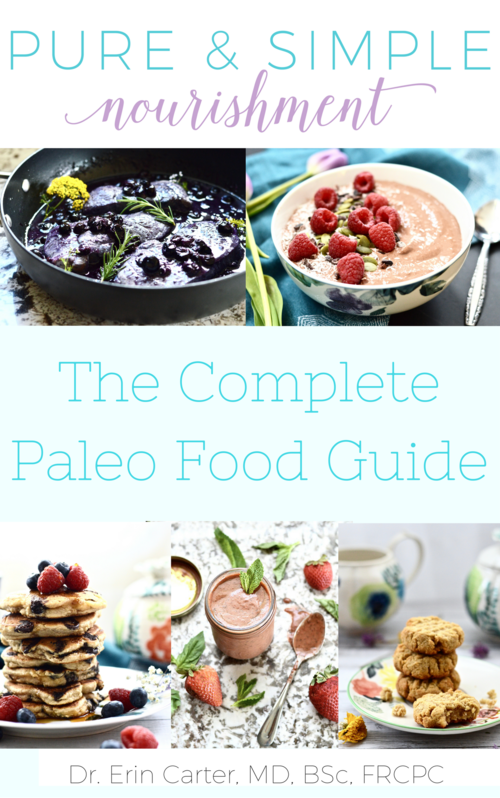 Pair this stew with a slice or two of my favourite Paleo Bread and you’ve got a complete meal! If you make this recipe be sure to let me know by tagging me on Instagram! I love seeing you eat my food! You can find me on Instagram here! How Long Does Stew Take in the Slow Cooker? I recommend cooking beef stew in the slow cooker for 8 hours. Yes I know that seems like a long time. But the longer you cook it, the more tender your beef will get. And again, no one wants to be stuck eating tough, chewy meat. No one! Is a Slow Cooker the same as a Crockpot? Yes! The Crockpot is just a specific brand of slow cooker. You can use them interchangeably! Can You Put Raw Beef in the Slow Cooker? Yes you can. But I don’t recommend it. While you can simply put your raw stewing beef in the slow cooker to cook, it won’t turn out nearly as tender if you don’t brown it first. Remember my two tips for ensuring you get tender stew meat? The first one is ensuring you brown the meat first. Is This Stew Whole30 Compliant? Sadly no. Because it has red wine (to help tenderize the meat) it isn’t compatible with the Whole30 program. 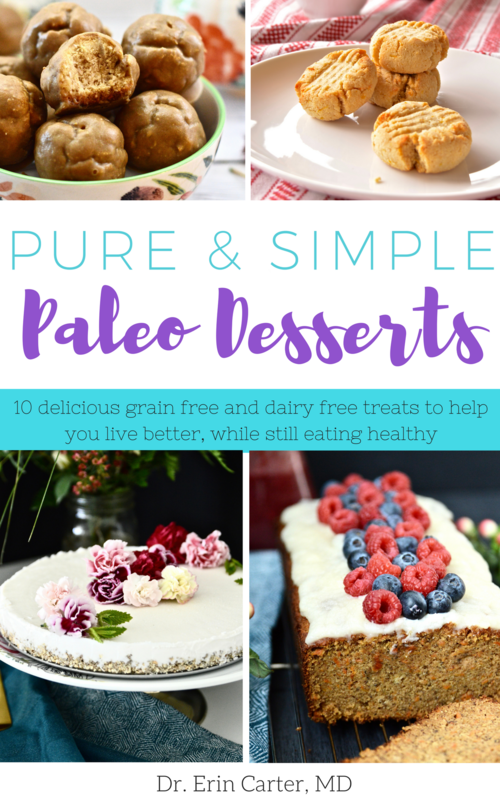 But I have plenty of other Whole30 compatible recipes for you to enjoy if that’s what you are looking for! 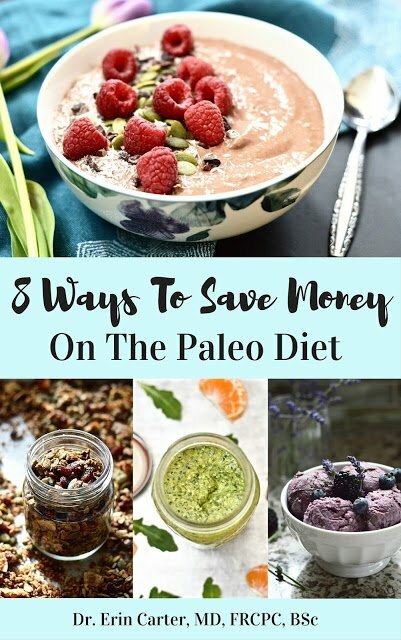 Recipes like Whole30 Stuffed Peppers, Whole30 Slow Cooker Chili with Blueberries, Whole30 Cream of Potato Soup, and Whole30 Mango Chicken Curry, just to name a few. Can You Make This Stew in the Instant Pot? To you Instant Pot, add the tomato, onion, carrot, celery, potatoes and beef as you are cutting them. Then add the liquids and spices and stir well to combine. Close the lid, set the pressure vent to Sealing and press Stew for 30 minutes. Display will say ON and the Instant Pot will take about 20 minutes to come to pressure. You will see a bit of steam coming out from the valve, then the float valve will rise and the countdown from 30 minutes will begin. When the display says OFF, the stew is ready. Now your Instant Pot needs to bring the pressure down before you can open it, which will be indicated by a dropped down float valve. You can let it do it on its own which will take about 15-20 minutes (called Natural Release) OR you can do through Quick Release by turning the pressure valve to the Venting position, which takes 2-3 minutes. NOTE: I recommend doing so outside. It can be very messy! Can You Make This Stew on the Stove? In a large dutch oven or pot on medium-high heat, add the cooking oil and sear the meat on all sides for about 2-3 minutes per side. You may have to work in batches so you don’t crowd the meat. Remove and set aside on a plate. Add another tablespoon of oil, then add the onions to the pot. Cook for a few minutes, until the onions start to soften. Add the wine to deglaze the pot and then stir in the tomatoes and cook for a few minutes, until the tomatoes start to break apart. Add the beef back to the pot and then add the remaining ingredients and stir well to combine. Bring the ingredients to a boil, then turn the heat down to low, cover and simmer for 55 minutes – 2 hours (depending on your stove), stirring occasionally, until the potatoes and meat are cooked to your liking. 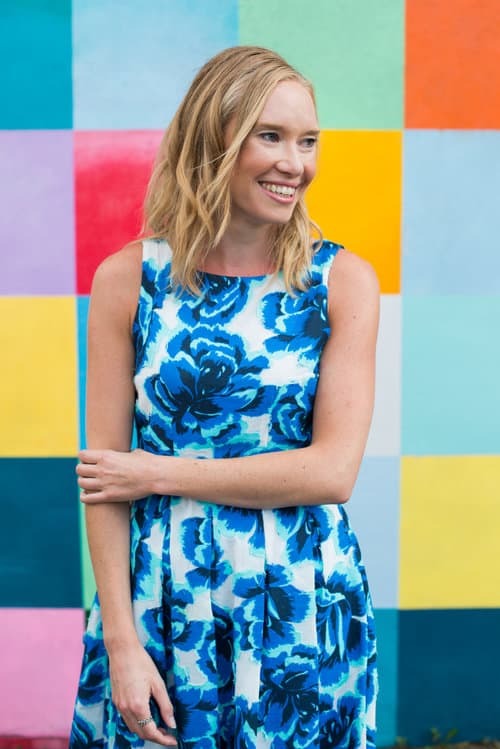 And if you are interested in some free, subscriber exclusive recipes, make sure you sign up for my newsletter below! 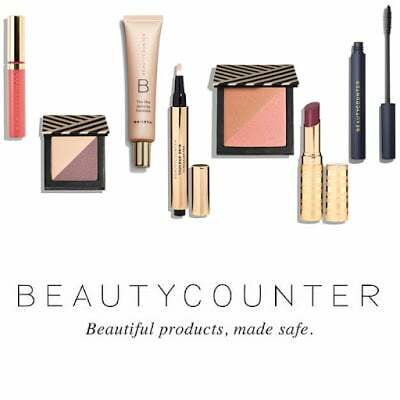 You will also get access to exclusive deals and give-aways that I only share with my subscribers. 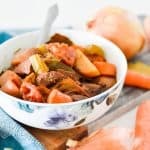 An easy slow cooker beef stew recipe that makes a rich and hearty meal. 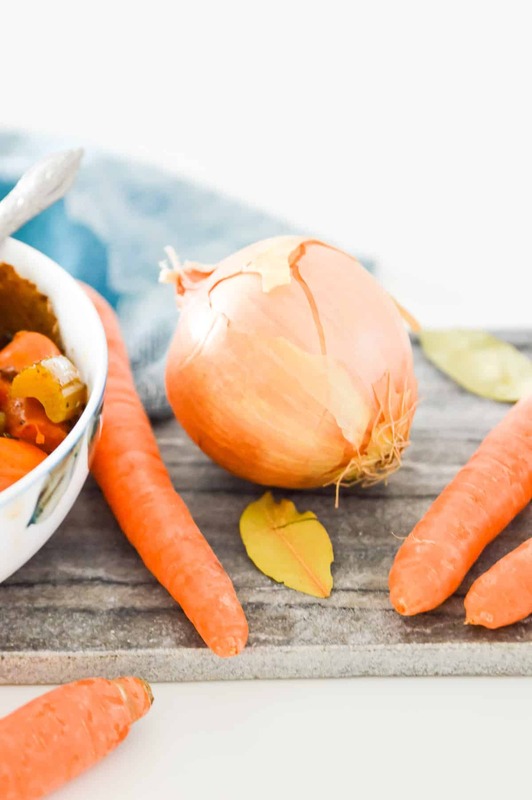 This healthy stew is packed with vegetables and is safe for the paleo diet. Browning the beef first will ensure the meat turns out tender and flavourful. If you don't have bacon fat you can use coconut oil, butter or ghee instead.